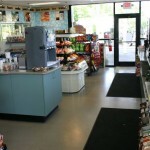 We have installed over 1 million square feet of seamless flooring and have hundreds of satisfied customers. 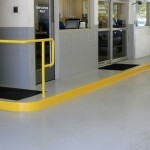 We offer many different types of seamless flooring to meet all types of needs and applications. Food service, food processing, automotive, health care, industrial, retail, warehousing, manufacturing, chemical containment, pharmaceutical, laboratories, fire stations, are some of the areas where seamless flooring has proven to be the top value in flooring for long life and low maintenance. 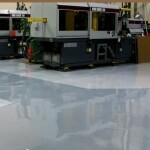 We offer thin film, thick film, and broadcast floors in epoxy, MMA, urethane, and polyaspartic systems. Moisture mitigation coatings are also available to deal with water vapor transmission through the concrete slab. 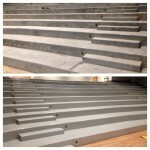 Our products can also be put over properly prepared plywood. We would be glad to come and look at your project and discuss your needs to help you pick the system that is right for you. We understand that scheduling a flooring project can be a major problem and we specialize in working around your schedule. We are willing to work nights and weekends to minimize production downtime for your facility. We always fully prepare the concrete surface by shot-blasting or diamond grinding. This ensures that the primer coat has a good bond to the concrete and ensures many years of service from your concrete floors. We never take the shortcut method of an acid etch surface preparation which other contractors sometimes use. We own all of our own surface preparation equipment and are not dependent on subcontractors to complete the floor prep. 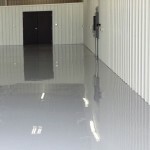 We partner with several well established manufacturers for epoxy and urethane flooring systems and have full access to their technical expertise to help determine the proper system for your application. In the unlikely event of a problem, we are a local company that is always willing and available to return to your site to fix any problems. For projects from 100 square feet to 100,000 square feet, give us a call so we can discuss your needs and schedule a site visit.